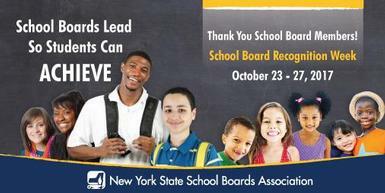 The New York State School Boards Association recognizes October 23-27 as School Board Recognition Week. This is a time to promote awareness and understanding of the important work performed by school board members. OCM BOCES is joining all public school districts across the state as we celebrate School Board Recognition Week in honor of our board of education members' commitment to students. “In many cases, our OCM BOCES Board of Education members do 'double-duty' by serving on boards for their own school district and OCM BOCES. We cannot thank our members enough for their incredible service and dedication," Manning said.